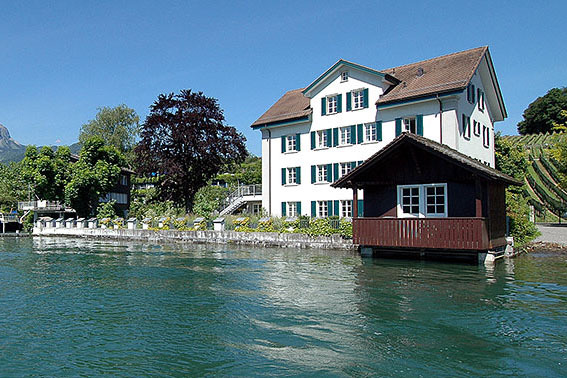 Lake Lucerne Workshop - why do we actually meet? 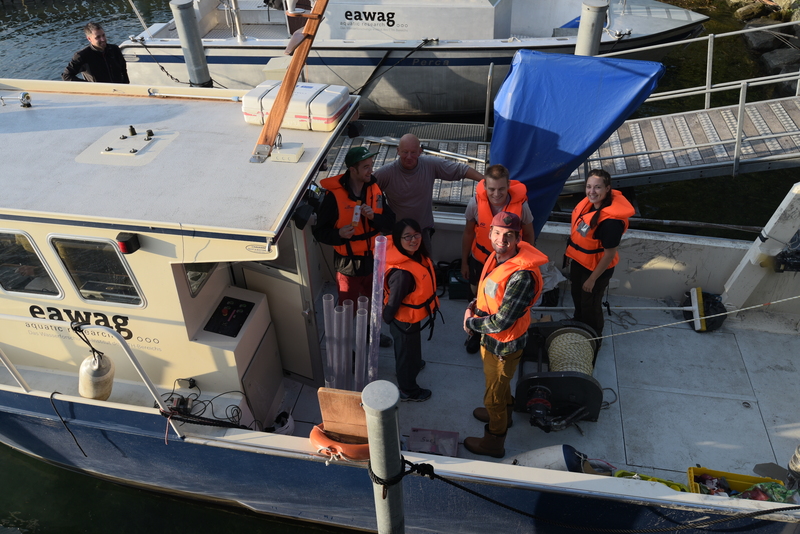 This year’s annual SLATE workshop took place in Switzerland, where we spent a week next to (and on) Lake Lucerne. 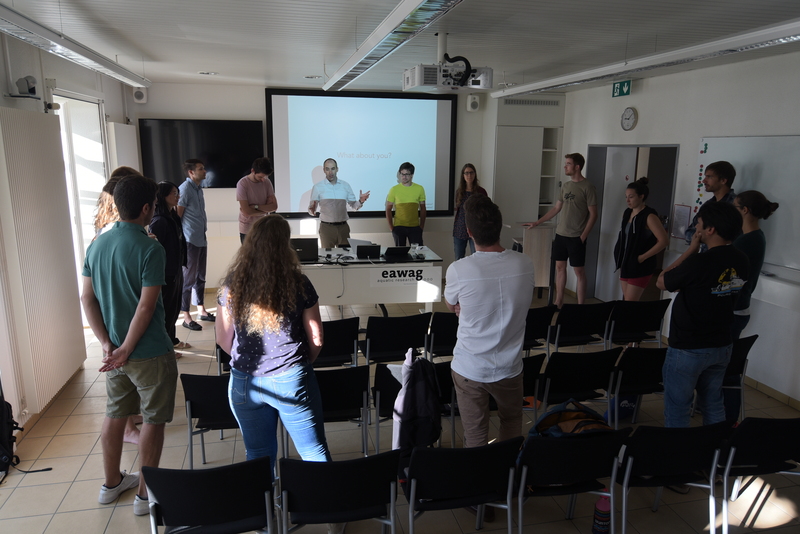 This week included a 2-day technical workshop and expert courses concerning Presentation skills and science communication, about which future blog posts will follow. Two interesting public lectures were also given within the submarine landslide framework. Alexander Puzrin’s lecture (ETH Zurich) provided some great insights in potential evolution of submarine landslides, and how certain settings can cause greater landslides. Flavio Anselmetti on the other hand gave us an excellent overview of past and ongoing research on Lake Lucerne (http://www.see-tsunami.ch/en/home/). Additionally, these annual workshops are an excellent opportunity for all 15 PhD students and Principal Investigators (PI’s) in the consortium to meet and exchange experiences and ideas. The SLATE project is a relatively small field within GeoSciences. Nevertheless, a week-long workshop highlights the variety (and importance) of the different projects. The PhD students research all aspects of submarine landslides: from pre-conditioning factors up to projects looking into tsunami hazards. Meeting together, in one location, gives us the opportunity to face our work from different technical points of view (geological, geophysical and geotechnical), developing innovative ideas and underlying the importance of collaboration among PhDs, PI’s and institutes. 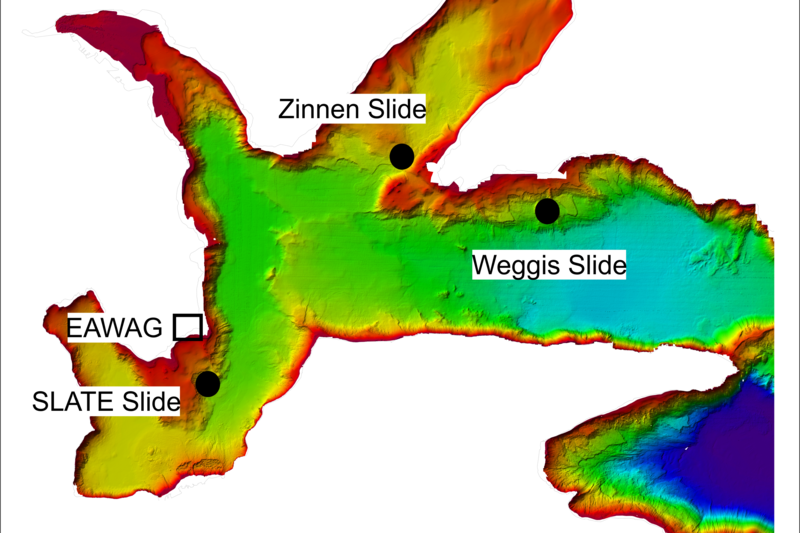 The knowledge exchange between PIs and PhDs makes SLATE an invaluable experience, allowing us to achieve a better overview of actual impacts of Submarine Landslides, and creating an exhaustive overview of the phenomenon. Besides, the workshop offers an opportunity to exchange PhD experiences far from the project itself. It is great to share generic PhD experiences, and to realise that others have similar ones, creating a tightknit group between the PhD students. In a time where mental health issues in academia are finally acknowledged (see Guardian Article), but still on the rise, exchanging these personal experiences might prove to be as valuable as knowledge. 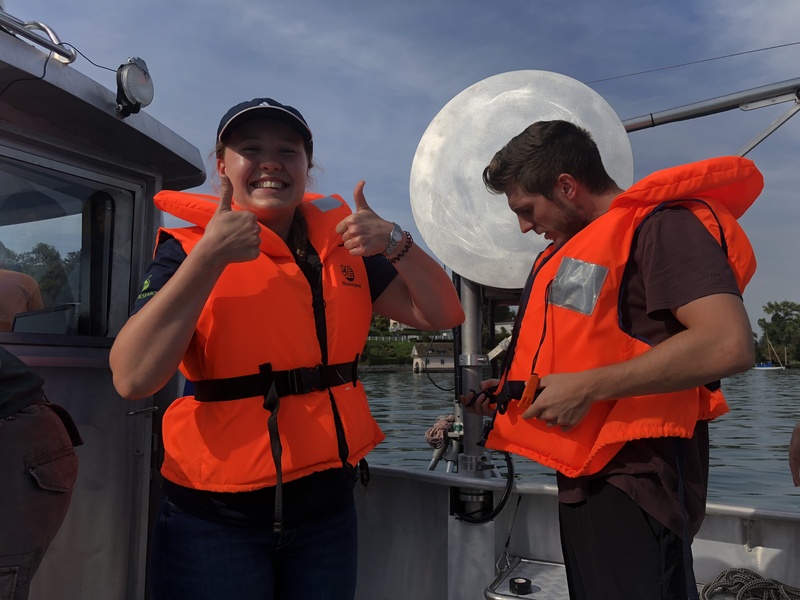 Lastly, the excellent location, together with the great weather has made the workshop at Lake Lucerne an immense success! With a lot of learning, networking and, of course, the occasional dip in the water. 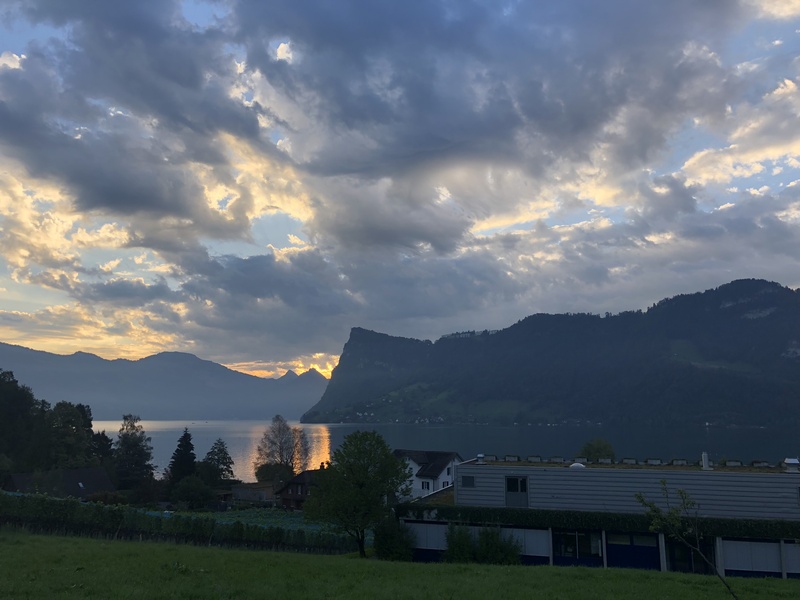 Morning view of Lake Lucerne with EAWAG in the foreground.